Join us for a mid-winter feast celebrating Iran, her food and her people. 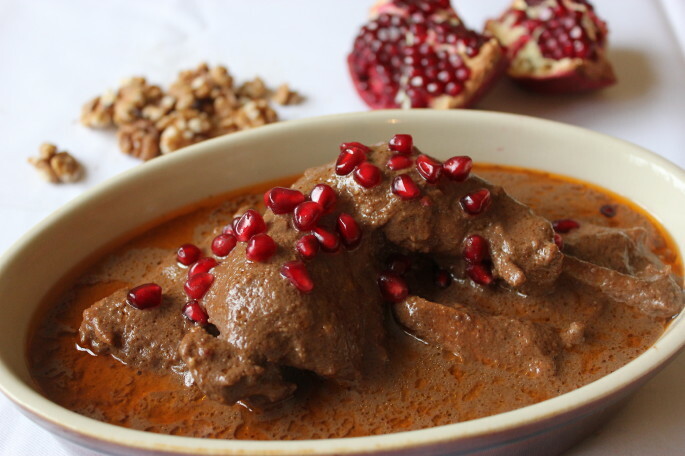 Writer and cook Yasmin Khan will bring a taste of Persia to the Secret Kitchen this December with a night of delicious food and magical stories from ancient Iran. Weaving tales of saffron and spices, with stories from Persian mythology and classic Sufi folklore, Saffron Nights will take you to the heart of the Old Silk Road to experience one of the hidden treasures of Middle Eastern cuisine. Yasmin Khan is a writer, campaigner and cook with a passion for sharing Iranian culture and cuisine. Last year, Yasmin ran a Kickstarter campaign to launch Saffron: Tales from the Persian kitchen, a project which led her to travel to Iran, armed with just a notepad and a bottle of pomegranate molasses, to collect recipes, stories and portraits from the people she met along the way. The project is currently being developed for TV and a book. When not in the Persian kitchen, Yasmin manages Made in Hackney, a charity and social enterprise teaching vital food growing and cooking skills to vulnerable and low income groups in Hackney, London. Sat 26th September, Sat 24th October and Sat 21st November 2009 – 12 noon to 6pm. This autumn Jamileh Hinrichs, an expert in Persian cuisine, is offering a special series of cooking classes. Class sizes will be kept very small so everyone can join in and learn directly from Jamileh’s extensive culinary experience. You can book the whole course, or pick one date. Feel free to spread the word and invite friends and family. Persian cuisine is one of the oldest and most sophisticated in the world. The sheer length and breath of the Old Persian Empire (encompassing today’s Iran and parts of Turkey, Greece, Iraq, Azerbaijan, Tajikistan, Afghanistan, the Arabian Peninsula and Egypt) has been the cradle of many distinct flavours and cooking ideas.